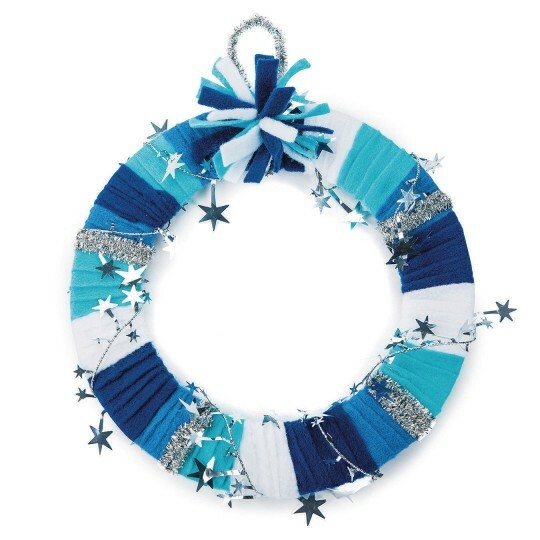 Create a soft sparkle wreath by wrapping and tucking felt strips. Finish with metallic sparkle star garland and chenille stems. All supplies included. 9" diameter. I bought these to use for a craft group at an assisted living community. We have some Jewish residents and they had pointed out that most crafts in December are red and green. 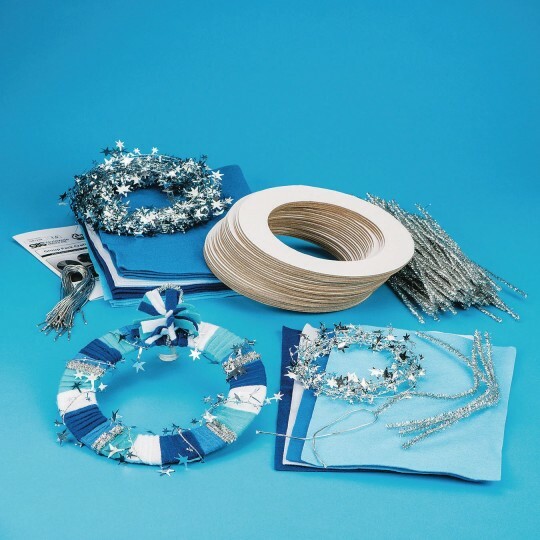 These wreaths are festive and sparkly and NOT red and green! ALL of my residents enjoyed these. They are fairly easy to make--but not so easy that they are inappropriate for adults. You can customize them with other materials--we used glue-on gems and glitter spray. Two drawbacks-- the finished piece has no weight to it because the materials are cheap the other drawback is that you have to cut all of the felt strips yourself. My residents are unable to do this so I had to pre-cut everything myself.